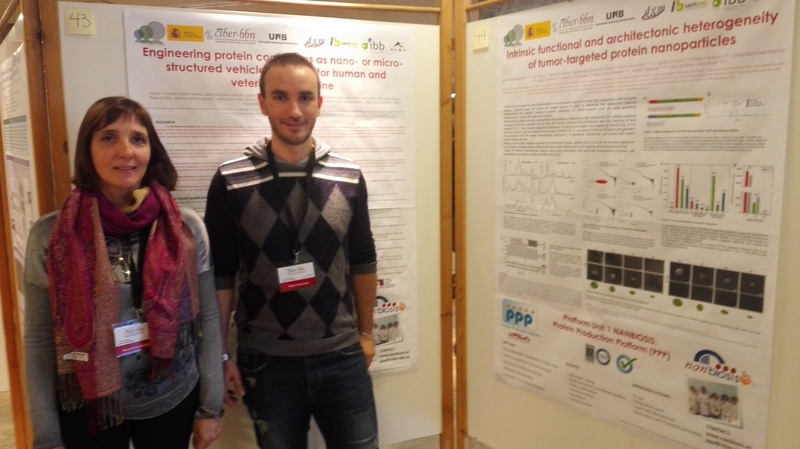 Researchers of NANBIOSIS U7. 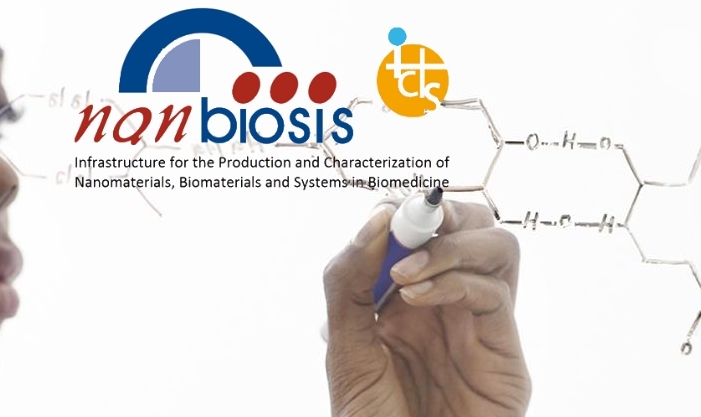 Nanotechnology Unit, are coauthors of the article “Nanopatterns of Surface-Bound EphrinB1 Produce Multivalent Ligand–Receptor Interactions That Tune EphB2 Receptor Clustering” published by NanoLetters, ACC Publications. The authors present a nanostructured surface able to produce multivalent interactions between surface-bound ephrinB1 ligands and membrane EphB2 receptors. They have created ephrinB1 nanopatterns of regular size (<30 nm in diameter) by using self-assembled diblock copolymers. Next, they have used a statistically enhanced version of the Number and Brightness technique, which can discriminate—with molecular sensitivity—the oligomeric states of diffusive species to quantitatively track the EphB2 receptor oligomerization process in real time. The results indicate that a stimulation using randomly distributed surface-bound ligands was not sufficient to fully induce receptor aggregation. Conversely, when nanopatterned onto our substrates, the ligands effectively induced a strong receptor oligomerization. This presentation of ligands improved the clustering efficiency of conventional ligand delivery systems, as it required a 9-fold lower ligand surface coverage and included faster receptor clustering kinetics compared to traditional cross-linked ligands. 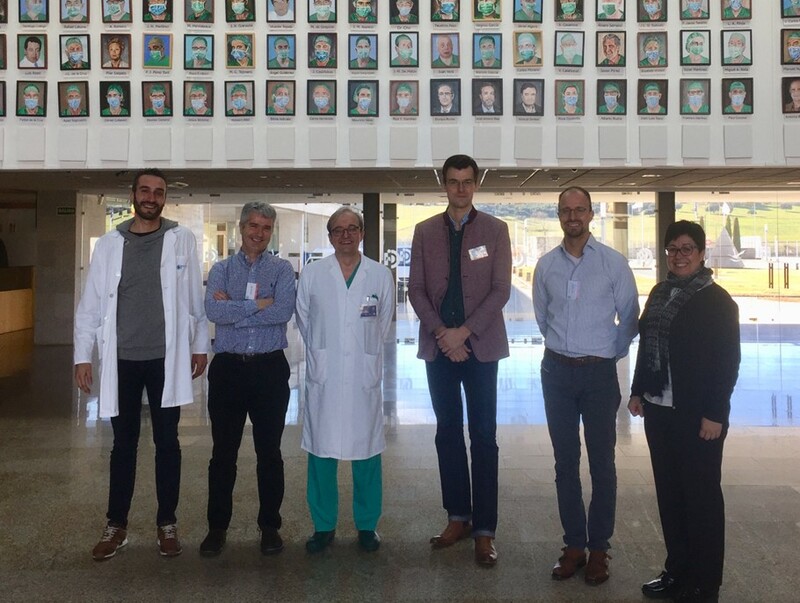 Last month NANBIOSIS Unit 7 Nanotechnology Unit Scientific Director Josep Samitier was one of the panelists in a round table organised by the Cercle de Salut, an association devoted to improving the health system so that it may respond adequately to the challenges posed by society. 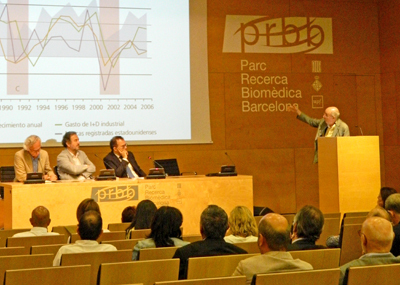 In the discussion at the Parc de Recerca Biomèdica de Barcelona (PRBB) entitled ‘L’excel·lència en la recerca, reptes immediats’, Josep and the other participants – ISGlobal director Antoni Plasencia and IrsiCaixa director Bonaventura Clotet – discussed the current situation of biomedical research in Catalonia. In particular, the hot topic under discussion was the impact that recent regulatory and administrative changes may have on its competitiveness. 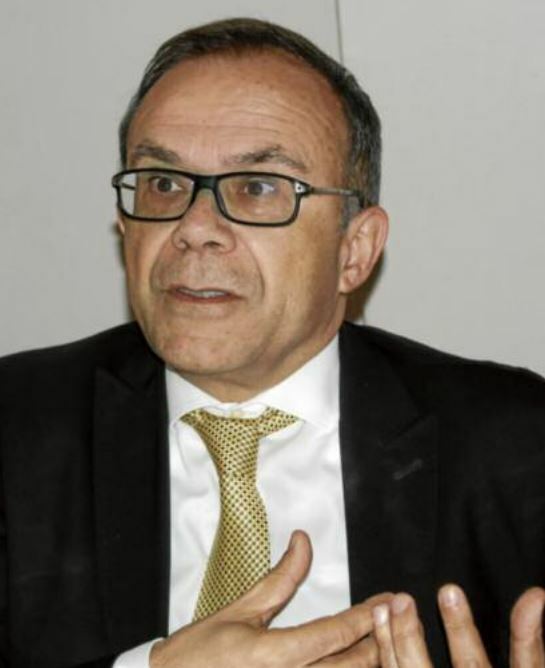 Samitier is a key figure of influence in this area, not only as president of ACER (the Associació Catalana d’Entitats de Recerca, but also with IBEC being a member of SOMMa, the alliance of the country’s 41 Severo Ochoa and María de Maeztu units. One of SOMMa’s first actions was the document ‘Informe SOMMa: Acciones necesarias para salvaguardar la competitividad de la ciencia’ to attract the attention of politicians to address some of the problems currently hampering research in the country, such as VAT deduction, public contracting, and the hiring of personnel. The proceedings began with a presentation of the document on behalf of SOMMa by Bruna Vives, managing director of the CRG, and the round table moderator was Jordi Camí, director general of the PRBB and the Fundació Pasqual Maragall. 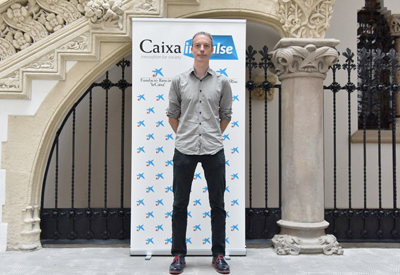 The session was closed by Cercle de Salut vicepresident Lluis Bohigas. 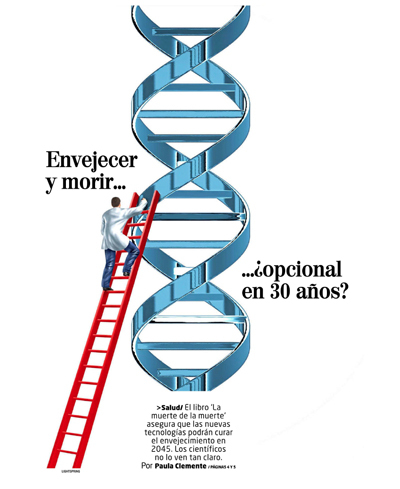 Following the publication of the book “The Death of Death” by Jose Luis Cordeiro and David Wood, which says that by 2045 death will optional thanks to new technologies finding a way to cure aging, the article interviewed Josep Samitier, to have a more realistic point of view. The book ‘Death of death’ assures that in 2045 die will be something optional thanks to the new technologies will find a way to cure aging based on success examples of regenerative medicine, stem cell treatments, therapies genetics, 3D printing of organs or bioengineering, that in approximately 30 years aging will be a curable disease, that young indefinite longevity will be achieved, or, in other words, the possibility of being young indefinitely and that death will be, defect, something optional. José Luis Cordeiro, co-author of the book goes back to 1950 to remember that it was there when it was discovered that the problem of cancer is that it is biologically immortal. They are, in the same way, germ cells or some stem cells, present in all organisms. “What we did not have before is the technology we have today, which allows us to detect the genetics of these cells, when the body dies, the germ cells, the mother and the cancer die, because the food ends, but if they are isolated and they are kept in the right environment, these cells are kept alive permanently”. So, his proposal is to investigate what determines that these are immortal cells and try to imitate the process to find the way that this affect our aging until it stops. Dr. Angel Raya, Principal Investigator of the CIBER-BBN in the Center of Regenerafiva medicine of Barcelona clarifies that “the diseases that affect us in relation with aging are diseases in which the symptom is produced by the failure of one of the parts of the system, the idea is that if we recover the function of that part in a functioning system, the patient will not have that disease, but that does not mean that he will have more life”. According to Josep Samitier, “there are fundamental problems associated with aging, such as the loss of muscle mass, the loss of certain capacities …, the human being has cells that are born, develop, die and they are replaced by others, but as we gain years, the replacement stops occurring, understanding. Well this, that does not happen and is maintainance is much more complicated”. In short, the experts consulted affirm that the human body is not reduced to the parts or organs that make it up, and that fixing its mechanical failures will not result in lengthen life indefinitely. “A house made of billets can crumble, but the materials that constituted it, the iron and silicon atoms that form the sand and the iron beams will remain there even if the house disappears,” continues Samitier, “In the same way, we are made up of water, carbohydrates, fats …, the atoms of these substances endure and are quite immortal, but we have to think about the organization of this system, and what we see is that it is something difficult to maintain in a functional way for many years. Advances in bioengineering will help us to live longer and with better quality of life, we will solve some issues and we will have options to fix hearts after heart attacks and things like that, but the problem is not that one thing fails, it is that several fail”.